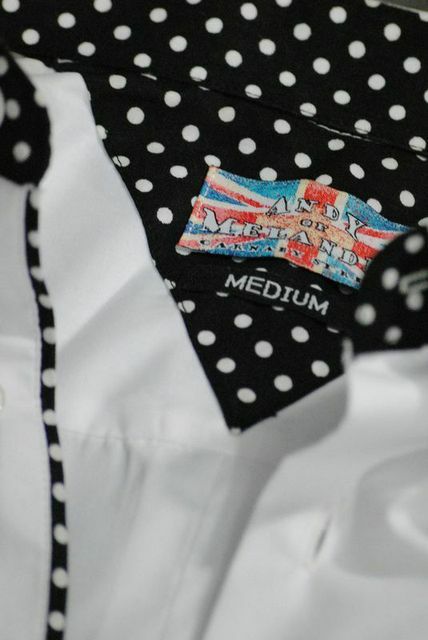 White satinized cotton and polyester mix (60/40) trimmed with a White on Black pea spot. 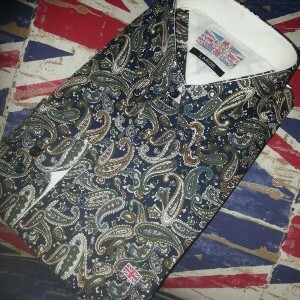 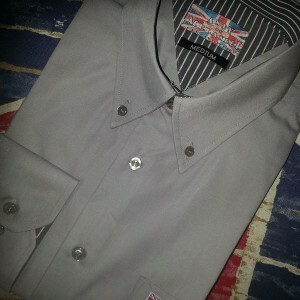 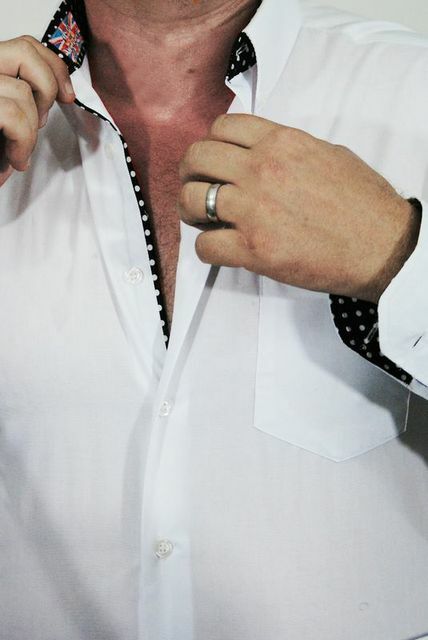 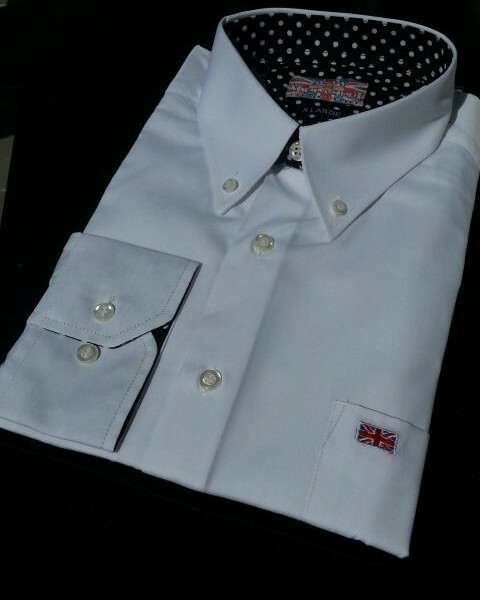 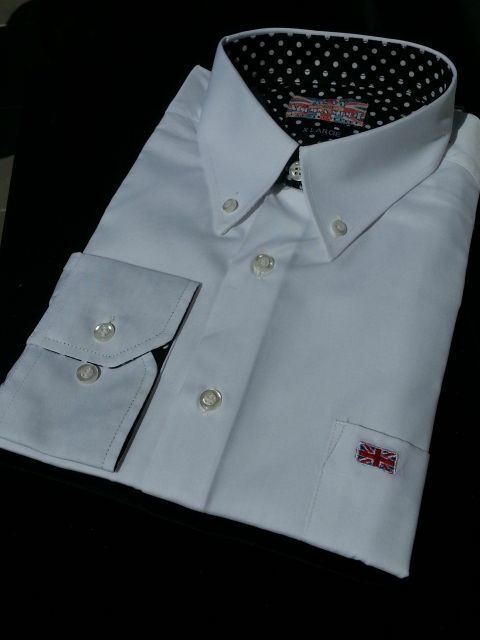 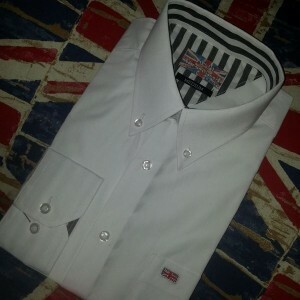 Iconic Spotted trim on a white Shirt. 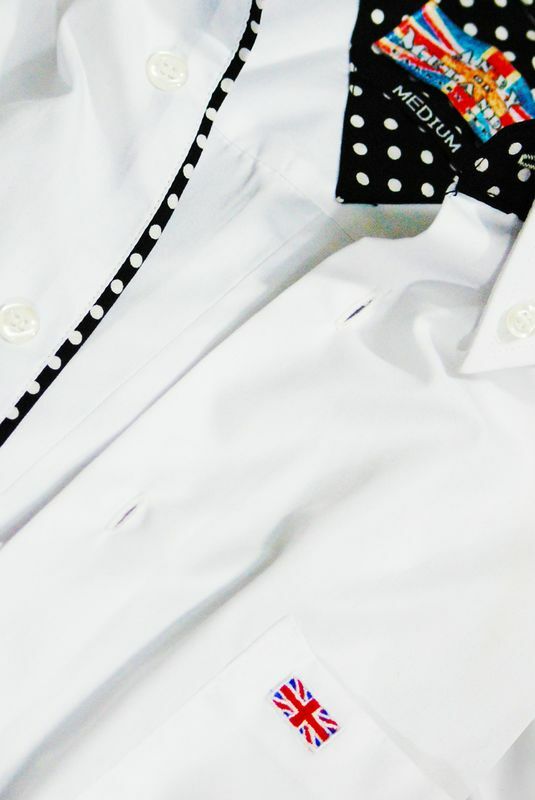 Be the first to review “White shirt black pea spot” Click here to cancel reply.